Increased efficiencies allow company to steadily increase rate of production. 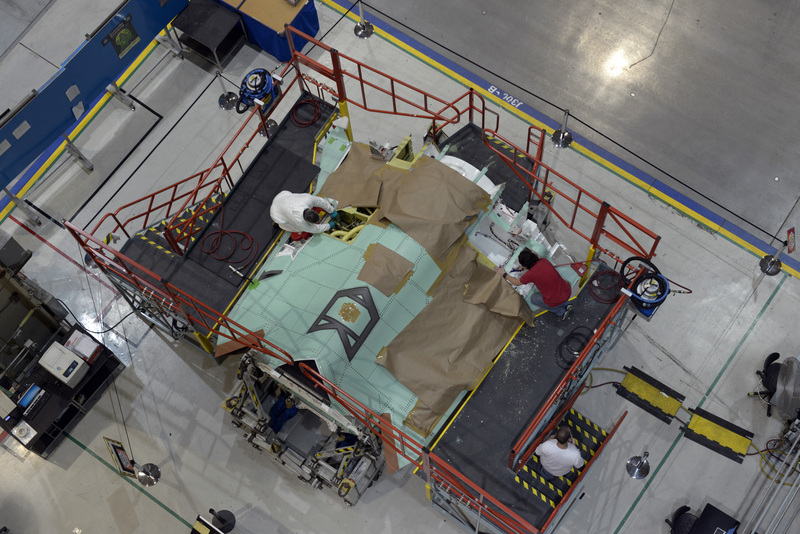 PALMDALE, Calif. â June 5, 2014 â Northrop Grumman Corporation (NYSE:NOC) has marked another significant production milestone for the F-35 Lightning II program by delivering its 150 th center fuselage to F-35 prime contractor Lockheed Martin (NYSE: LMT). The center fuselage is the core structure around which the aircraft is built. Designated AF-68, the center fuselage was delivered June 2. It is the 50 th such unit Northrop Grumman has delivered in the last 15 months. The company's first 100 center fuselages took approximately eight and half years from program start to complete. "The delivery of AF-68 represents Northrop Grumman's steady progress reducing the production time for the F-35 center fuselage," said Brian Chappel, vice president and F-35 program manager, Northrop Grumman Aerospace Systems. "It also maintains the company's perfect record of on-time deliveries of center fuselages from our Palmdale manufacturing center to Lockheed Martin." AF-68 will be integrated into a conventional takeoff and landing variant at Lockheed Martin's F-35 final assembly facility in Fort Worth, Texas. The jet will be delivered to the U.S. Air Force. 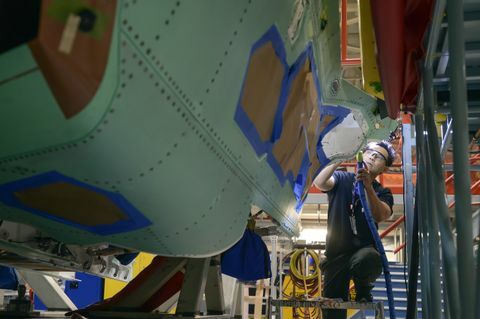 Chappel attributes Northrop Grumman's steady increase in center fuselage production rates to the company's Integrated Assembly Line (IAL), which was opened in Palmdale in March 2011 to improve quality, reduce costs and shorten F-35 center fuselage assembly times. "We're working closely with our customers, our suppliers and our employees to identify small changes in our assembly practices that will increase F-35 affordability while maintaining excellent quality," said Chappel. "Every minute, every dollar we save on the IAL helps reduce F-35 costs while speeding the jet's availability to the warfighter." The Northrop Grumman-developed IAL makes heavy use of robotics and automation. It allows the company to produce F-35 center fuselages with levels of engineering precision, quality and manufacturing efficiency that are not achievable using conventional manual production methods. As a principal member of the Lockheed Martin-led F-35 industry team, Northrop Grumman performs a significant share of the work required to develop and produce all three variants of the jet. In addition to producing the F-35 center fuselage, the company designed and produces the aircraft's radar and other key avionics including electro-optical and communications subsystems; develops mission systems and mission-planning software; leads the team's development of pilot and maintenance training system courseware; and manages the team's use, support and maintenance of low-observable technologies.